There are many products and techniques available for patients who want to achieve a brighter smile. With so many options available, it can be difficult to choose the method that is right for you. The best way to begin any teeth-whitening regimen is to schedule an appointment and talk to us about the differences between whitening programs. 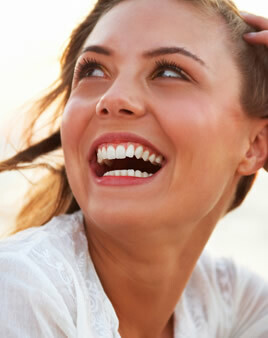 We offer a Whitening For Life program at Sierra Crest Dental. Ask your hygienist at your next visit. The least expensive options are whitening toothpastes. Designed to have “whitening” capabilities, toothpastes work to remove surface stains using mild abrasives. However, unlike the materials used in professional whitening procedures, these products do not lighten the actual color or shade of the tooth. Whitening toothpastes affect surface stains and will mildly lighten your teeth. If you would like to learn more about teeth whitening, please call Sierra Crest Dental to schedule an appointment.